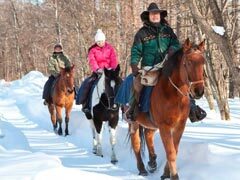 Discover Hokkaido mountain charm where family traditions are shared and passions are renewed. 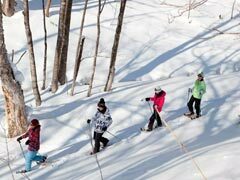 Touted as one of the best travel destinations in Asia, Hokkaido promises a fun-filled family experience. Discover the perfect powder snow for skiing or snow trekking. Relax amid natural mountain landscapes with activities like horseback riding, while culinary delights like nabe is great for the whole family to share. Reconnect with your loved ones and begin new traditions at Club Med Sahoro Hokkaido all-inclusive resort, a true immersion into authentic Japanese culture and heritage. Reconnect with family and pursue your passions with these 5 distinct experiences to enjoy during your stay. From authentic Japanese fare to outdoor journeys guided by knowledgeable G.Os, you’ll make cherished connections with friends, local traditions, and this exciting destination. 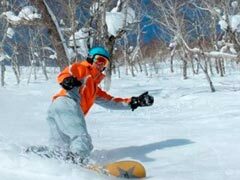 Explore Hokkaido’s renowned, premium quality powder snow, which is perfect for winter sports and activities. At our all-inclusive Hokkaido ski resort, we’ve thought of everything to make your winter holiday relaxing and worry-free. Whether you want to click into a pair of skis and hit the slopes or go snowboarding, our expert G.Os will set you up for an unforgettable experience without the hassle of long queues. Allow our professional instructors to provide safety-first ski and snowboarding lessons for all levels. Lessons and lift passes are included in your stay, while outerwear and equipment are available to rent. Roll up some snow and have an impromptu snowball fight, build a snowman, or sled down our fun hills. Whether it is your family’s first time seeing snow or an annual family tradition, the beauty of our soft white powder and the magic of the falling flakes makes for an unforgettable holiday together. At Club Med Sahoro Hokkaido resort, the possibilities are endless. Take time to reconnect as a family and explore our Hokkaido winter wonderland. Allow our knowledgeable excursion guides to take you horseback riding where you will discover a renewed passion for the spirit of the great outdoors. Your children will love engaging with these great and peaceful animals, getting to pet them, work with them, and riding them in our beautiful snowy landscape. *Additional costs may apply. Included: Drinks served by the glass and at the bar only: water, fruit juices and sodas, hot drinks and cocktails with and without alcohol, wines and local and international spirits. A selection of sweet and savoury snacks. 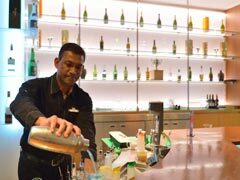 In line with Japan local law, Club Med is only allowed to serve alcoholic drinks to our guests above 20 years old. Make mealtime the best time to reconnect with your family. 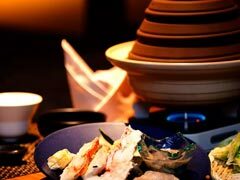 At each of our restaurants, you’ll experience the traditions and culinary specialties of Japan. 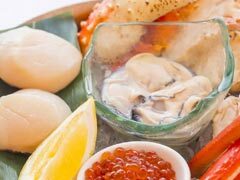 Savour from a selection of freshly prepared delights highlighting the local flavours of Hokkaido at Club Med Sahoro Hokkaido all-inclusive resort. What makes these venues truly unique is their dedication to offering healthful choices and authentic preparations inspired by local ingredients. Day to night, enjoy the bounty of Asian dishes to tempt every taste. Please note: In accordance with Japanese law, Club Med may serve alcoholic beverages to guests aged 20 years and older. Savour a variety of delicacies from our international buffet. With an emphasis on Asian flavours, sample from a selection of fresh-caught sashimi, sushi, and chirashi don prepared by skilled Japanese Chefs who use traditional methods. You can also watch as energised live cooking stations showcase Chefs preparing each dish, including handmade soba, ramen, and udon noodles. 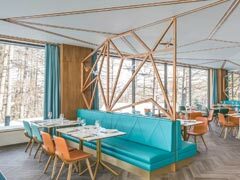 This recently expanded restaurant takes its inspiration from mountain views and the forms and shapes of origami, representing longevity and good luck. Wrapped in glass with nature in every direction, dining here is an immersive Hokkaido winter experience. For added convenience, a Baby Corner will offer sweet and savoury baby foods, equipment to prepare babies' meals, and high chairs or booster cushions. Spare pushchairs are also available upon request. Your family will love this must-try dining experience. Our Mina Mina specialty restaurant prepares a traditional nabemono, or nabe, soup served in a heated pot right at the table. Choose from your favourite ingredients including meat, crab plate, seafood plate, and vegetables. Then, just add or dip one by one to customise your meal. Please note: Some selections are available for an additional fee. 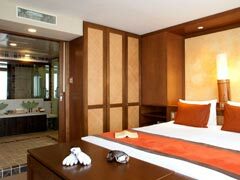 You’ll find comfort and reprieve in any of Club Med Sahoro Hokkaido resort’s guest rooms and suites. Each is thoughtfully appointed for couples, families, and friends to enjoy mountain journeys together. Traditional Japanese elements blend with conveniences at every turn, while white powder snow views inspire days of reconnecting with your loved ones. 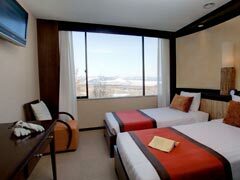 Stay cosy in our Hokkaido resort Club Rooms, which span 27 to 37 sq. m. Each are thoughtfully appointed to host small families including up to 4 adults and 1 young child. Featuring a desk and the ability to connect to an adjoining room, these accommodations invite you to completely relax. Stunning mountain and nature views inspire journeys to come. Treat yourself to a spacious stay in the Club Family Room with the possibility to connect to an adjoining room. These adjoined rooms can host up to 4 adults and 4 children, and features a tatami lounge for a traditional Japanese experience. Make it a romantic getaway with a stay in our Deluxe Rooms, perfect for couples seeking powder snow during Hokkaido ski season. With bathrooms, connecting beds with crisp white linens, and peerless mountain views, discover prime accommodations. Upgrade to the Deluxe Family Room for a retreat that comfortably hosts 4 adults and 1 young child. Reserve this elevated Deluxe Room category to spread out into a separate screened room, which offers either a traditional Japanese tatami sitting area or 2 futons for sleeping. Spread out in our most spacious accommodations. 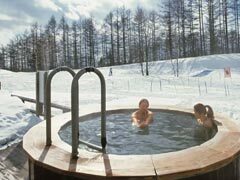 The Club Med Sahoro Hokkaido Suites feature bright white mountain views, and can easily host 4 adults and 1 young child or couples seeking a quiet, romantic snow getaway. A tatami room can convert to a separate sleeping area with 2 futons for ease and convenience, while an additional sitting room and a spacious bathroom with soaking bathtub make this a blissful retreat. To elevate this experience, enjoy room service breakfast and evening turndown service. Club Med Sahoro Hokkaido all-inclusive resort makes holidays with children of all ages unforgettably fun. Whatever your kids are interested in, our exclusive activities and age-specific clubs were created with them in mind so they can enjoy the very best of their holiday away. We even offer group ski lessons for all levels of experience, which are guided by professional G.O®s who speak several languages. We’ll take care of everything to make their time here amazing. Please note: Private lessons may be reserved for an added fee. Activities Included: Fitness School, Alpine skiing, Snowboarding, Table tennis, Yoga, Stretching, Tennis, Weights and cardio room, Squash. Activities extra charge: Guided snow shoe walks, Tree climbing.